Where is Cheatham County Tennessee? Cheatham County is located in the northern area of Middle Tennessee, and is bordered by Robertson County (Springfield) to the Northeast, Montgomery County (Clarksville) to the Northwest, Dickson County (Dickson) to the West, Davidson County (Nashville) to the East, and Williamson County (Brentwood and Franklin) to the South. Cheatham County Tennessee was established in 1846 and Ashland city is it's county seat. 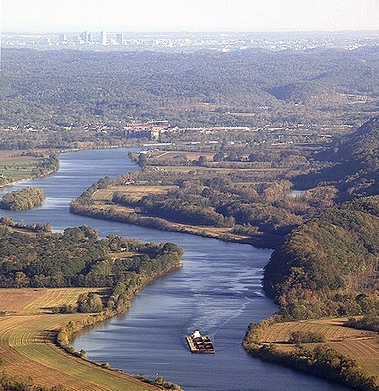 The Cumberland River winds through Ashland City and there are many bluffs and beautiful view of the River. The southern area of Cheatham County was a busy railroad community including the cities of Peagram and Kington Springs. Interstate 24 runs through Cheatham County and makes the area of Pleasant View and Joelton easily accessible to Nashville. Highway 12 which runs from Clarksville to Nashville goes through the heart of Ashland City, making it very accessible to both Clarksville and Nashville. Cheatham County has a population of over 40,000, yet still maintains a warm and friendly country atmosphere. If you are looking for a REALTOR® who knows Cheatham County, choose Kim Blanton! Learn more about Kim and why she is the best choice to assist you with all of your home buying and home selling needs.